PE film first, Plastic box, then carton last,we can do according to client's requirments. Grinding Process,Discharge Processing And Polishing Processing Etc. 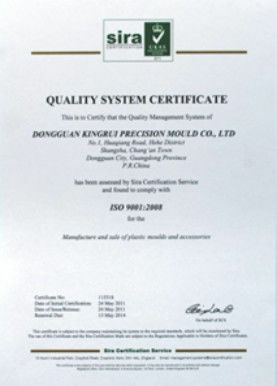 As a manufacturer with more than 11 years of experience in the Precision Mold parts processing industry, we have gained in-depth knowledge of various types of mould parts, to effectively quote you our best price, please provide complete specifications and prints when possible. The special aspect of this product is that the forming area is round, and this kind of combination of round and square makes it more difficult process. 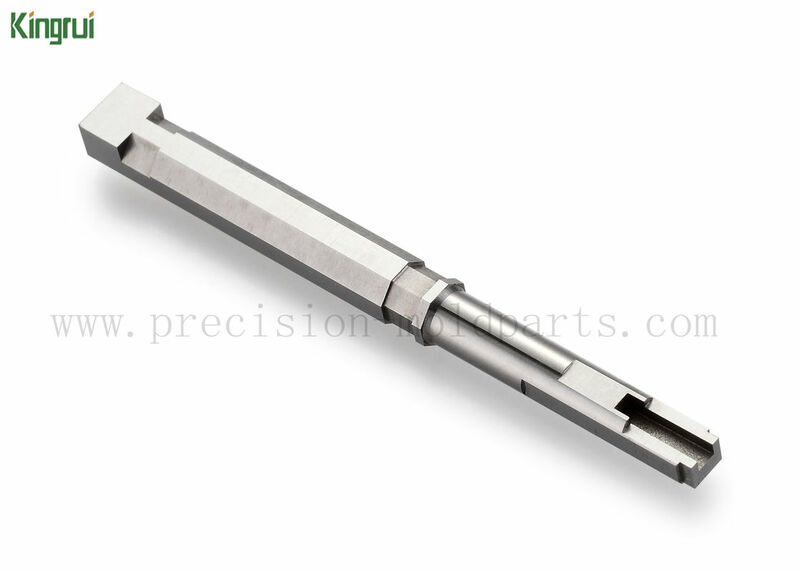 The mould component was made by DC53, which came from Japan Daido Corporation.this material is a new type of cold work die steel modified for SKD11. After surface hardening, the surface hardness is higher than that of SKD11, thus improving the mold performance and replacing SKD11 in the field of general and precision molds. In addition to metarial this parts used, our factory can process your mold parts with all materials. 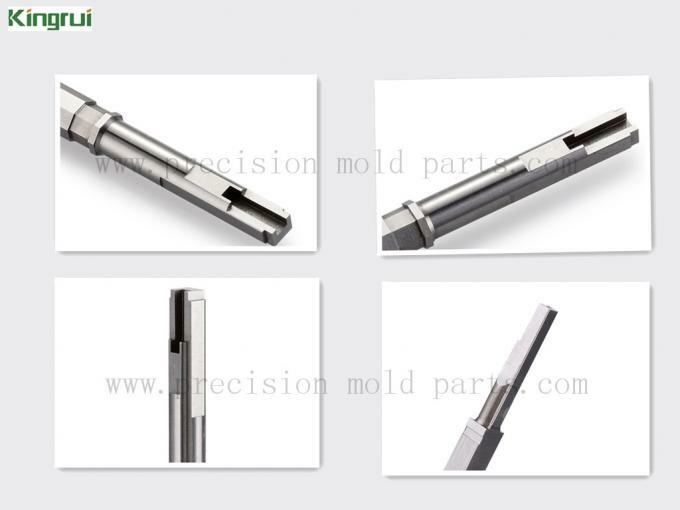 The precision mold parts is used to auto industry, we call it car connector mold part. 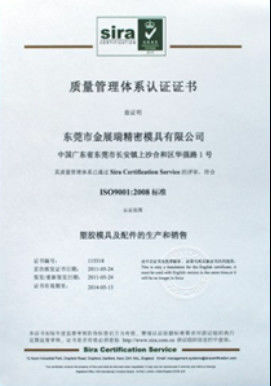 There are some aplication regions of our product, such as : automotive industry, aviation industry, electronic equipment industry, medical equipment industry and so on. Packaging: PE film first, Plastic box, then carbon last. Shipping: We coorperate with DHL, UPS, TNT, EMS and other international logistics company. Both package and shipment can be customized, according to your requirement , which is articularly worth mentioning. Usually 5-15 days ,it depends on your order and drawings. If you are interested with our products, please contact us. We will service for you heart and soul !